Do you know how we always used to hear that solar energy (or any other kind of renewable energy) was the best choice for the planet but probably not for your budget? Do you still have the idea that solar is the energy source of tomorrow? Well, those days are far behind and those sayings are really obsolete. In this post, you’ll learn that solar energy is at this moment the best choice to get clean energy and a cost-effective performance for your home. We want to put the focus on this right now because the California Solar Initiative is making higher rebates available for those going solar. This is a great chance to make a home improvement that will save you money since the moment you get it installed. Before we get fully into Solar Tax credits and how you can get them, we should give you a little insight of what solar energy means and how you can benefit from it. The sun produces one of the few inexhaustible sources of energy that exists today and it can be exploited in several ways. Two of the best known solar energy home improvements are solar panels (to generate electricity) and solar water heating systems (that will allow you to heat water without gas). This last one can be an ideal beginning for you to enter the world of renewable energies and create a healthier home with a home solar system. Casually, if you decide to add them to your home remodeling project you’ll get an unexpected benefit. They are part of a Thermal Program that offers cash rebates of up to $4,366 on solar water heating systems for single-family residential customers. And you should know that Multifamily and Commercial properties qualify for rebates of up to $800,000. Those deductions add up to the energy efficient improvements you’ll notice on your gas and electricity bills. So, there are really no drawbacks to turning to solar energy in your home. If you go for getting a solar water heating system you might be wondering how exactly will it work out for your home. Well, SWH and thermal collectors are more common than you think. It works by installing a sun-facing collector (usually a roof-mounted close-coupled thermosiphon). That collector heats up the water directly or via light-concentrating mirrors. The best part is that they operate independently of gas and electricity (although there are some that work as hybrids consuming a bit of those services). On the other hand, solar panels are the first thing that comes to mind when someone mentions solar energy. People are familiar with them but do you know how they work? Solar panels are put on rooftops and are made up of photovoltaic cells that transform the sunlight into electricity for your house. You can think of them as sandwiches made up of two slices of semiconducting material. These solar panels are becoming more common in west coast homes as the weather and the sun hours make them perfect to power your house. And now with California Solar Initiative it’ll become even more common. Include solar as one of your energy efficient improvements and you’ll be eligible for a 30% Solar Tax credit before 2018 part ways. If you need more information on how to apply, you can go to Go Solar California webpage and find all the information you need. 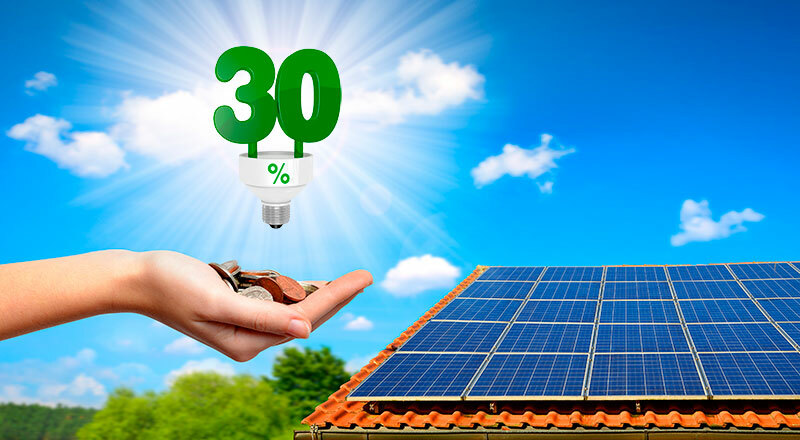 You’ll see how to get started today, find out if you qualify, how much exactly can you save and how to hire an eligible solar contractor. Don’t let this opportunity go away. Get in touch with a certified professional at Treeium and learn all you have to do to bid farewell your high utility bills, help the planet and get a healthier home. Go to Treeium.com today and one of our home energy performance experts will take care of your project and make sure you receive a personalized service and the highest quality of workmanship, as well as have your job completed on time and within budget.